Feline Kidney Disease/Cleanser.Liquid Oral Naturopathic/Homeopathic Treatment. Cleanses your cats while fighting disease and building healthy kidney's. Availability: Currently in stock. Free Shipping. 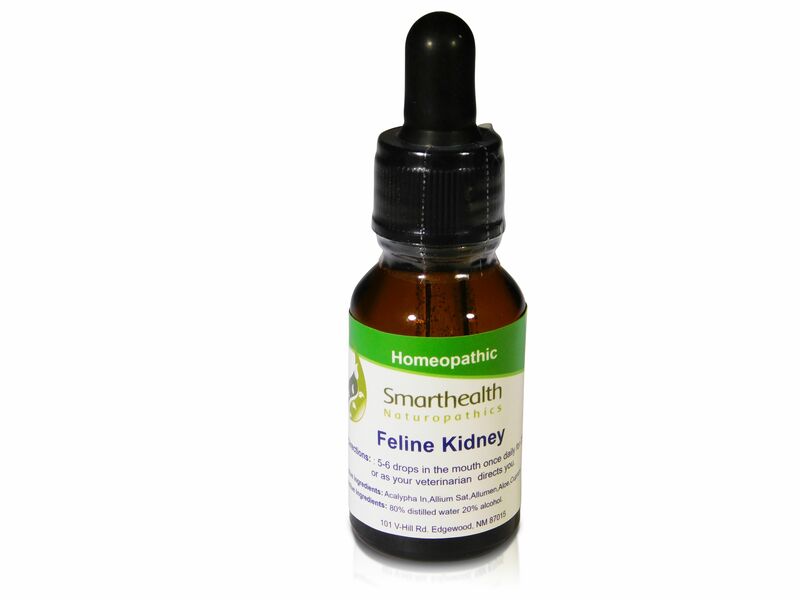 Fights kidney disease and keeps your cats kidney's healthy. Works for all feline breeds and all age's. This product has a 3 month guarantee. For all types of cats that have kidney disease, or weak kidney's. Directions: With the dropper administer 4-5 drops of formula once daily for 3 weeks or as your Naturopathic veterinarian directs you. Ingredients: Acalypha Indica, Allium Sativum, Allumen, Aloe, Cuprum Ace. Inactive ingredients:70% sucrose 30% corn sugar. in non-allergenic pellets. We have been hearing from the naturopathic community that many people and cats are getting kidney damage from getting E coli infections. If you or your cat gets a E coli infection you should consider getting our E Coli formula plus our Kidney Cleanse/Disease formula. Q: Can the be put in water bowl, instead of mouth? Should the 3 weeks of use be repeated periodically? Q: Can this Feline Kidney product be taken along with all kidney diet prescription foods? I am feeding my cat Royal Canin Kidney Support morsels. Would appreciate a response from you. A: Yes, it's safe with all of these products but, you will notice a much greater difference with our product in kidney damage/disease then those said products. Feline Immuno Deficiency Virus (AIDS) Natural Homeopathic Formula.